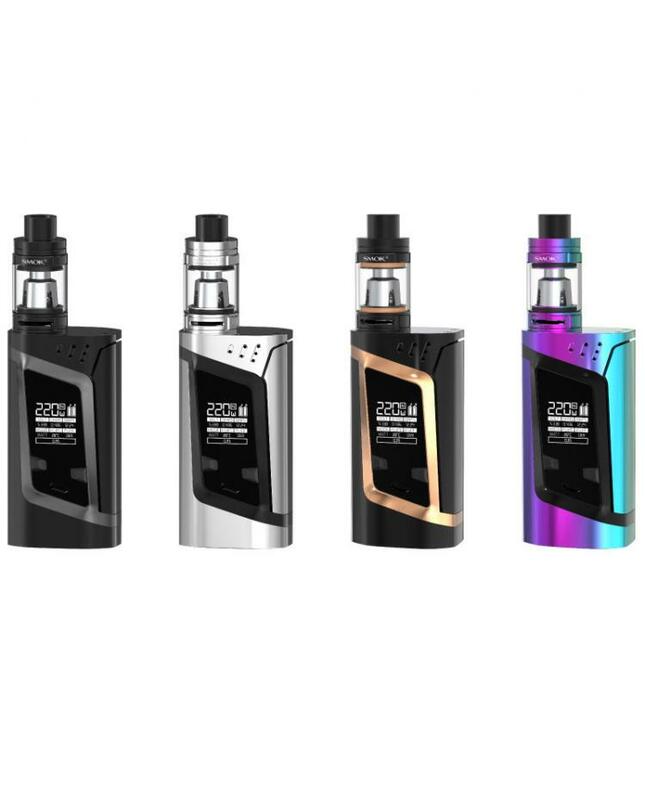 The Smok RHA 220W TC Starter Kits, which includes the RHA 220W Temp Control Box Mod and TFV8 Baby Sub Ohm Tank, 5 fashionable colors available. the RHA mod is crafted of a zinc alloy coated with a space-age paint to bring humanity a durable, yet attractive finish, it features curves and an aversion to hard angles which makes it feel very comfortable in the palm of your hand. 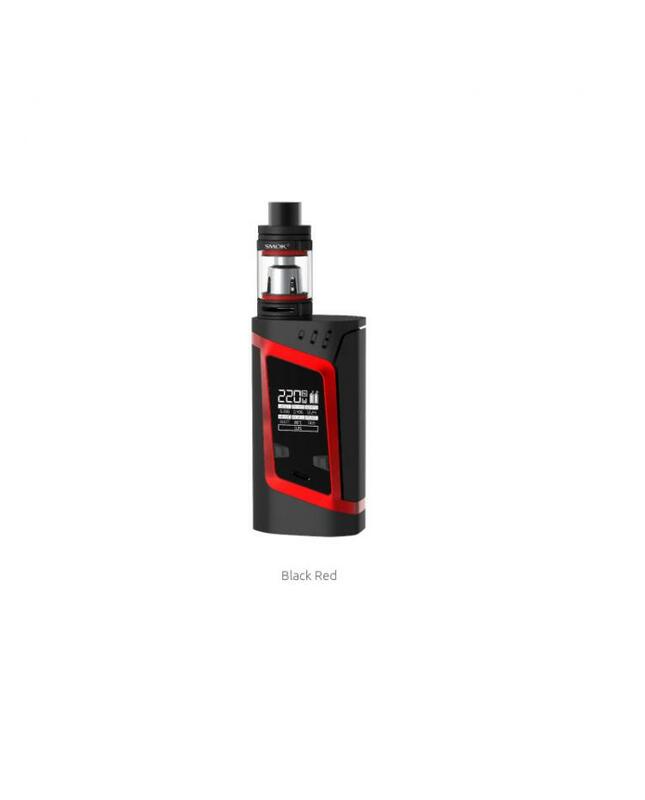 the Smok TC mod powered by dual high-rate 18650 batteries and max output 220watts, VW and TC working modes switchable. 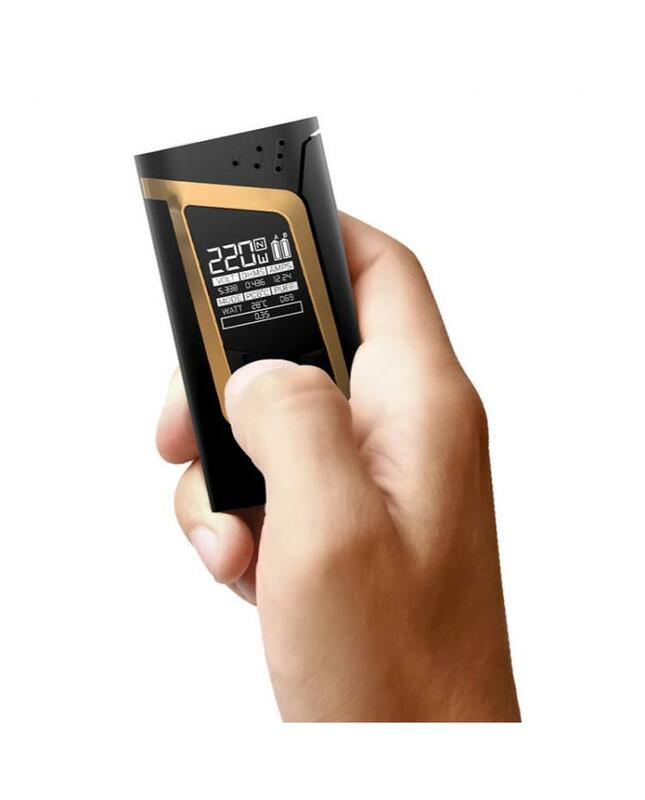 the front-panel with one 0.91 Inch OLED screen, it will show the vaping data clearly, you will know the working condition of your Smoktech RHA 220Watts Mods, know the wattage, working mode, battery life, working voltage, resistance, amps etc. 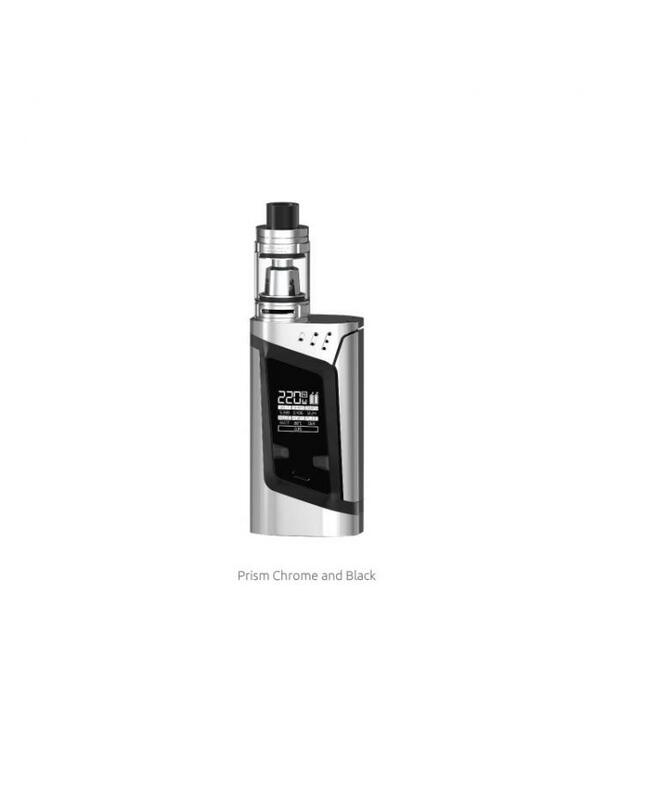 the right side of RHA with one large fire button, vapers can fire it up easily. 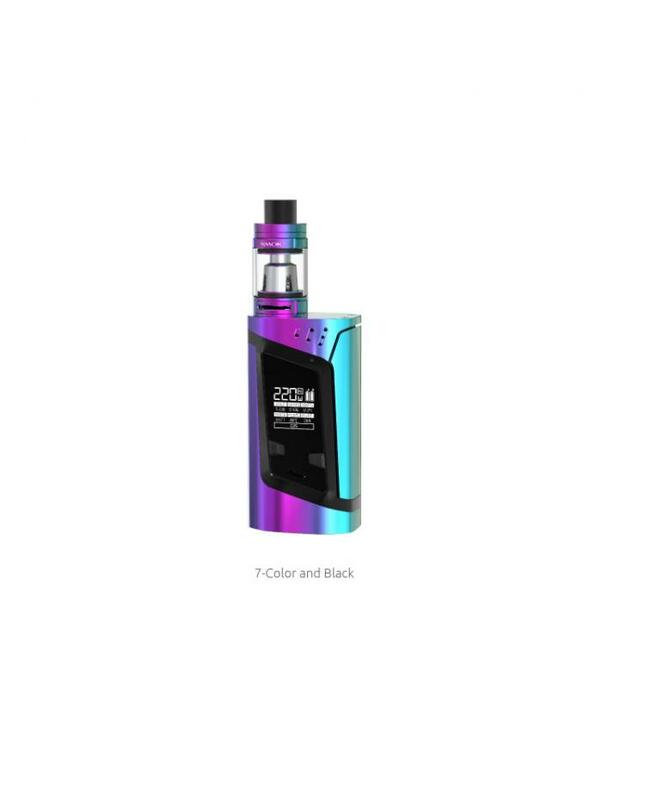 the TFV8 baby tank can hold 3ml e juice, with convenient top e-juice refill design, vapers only push the top cap to the side and inject your e juice from the side holes, no leaking worry, there are dual large airflow adjustable slots on base, rotate the ring to adjust the airflow to your preference simply, it comes with the V8 Baby-Q2 dual coil head and V8 Baby-T8 Octuple cores, will deliver the huge cloud of vapor and dense flavor.